In college, everything is a tight fit. Trying to cram a lifetime's worth of outfits and furniture into a ten-by-ten space you share with two other people is a daunting task, and one that leaves most kids yearning for their bedroom back home within hours of arriving on campus. In high school, the lifestyle isn't much different, with the exception of parents hounding their kids to keep the room clean. In both scenarios, it's important to find the right balance, and that usually mean's compact furniture. So, for those in tight spaces, we present some great student desks that keep to themselves! For the claustrophobic, our first entry is sure to give users as much wiggle room as possible. The 946 Eastwinds Student Computer by Mayline makes the most of an extremely compact design. This computer station provides space for a keyboard tray, a printer shelf, and even a CPU holder. It's the perfect addition to any cramped dorm, bedroom, or apartment space because the wheel casters allow the whole setup mobility for easy storage. As if that weren't enough, the 946 Eastwinds is totally budget friendly. For only around a hundred dollars, users can get all the benefits of a full size desk in a compact package that fits just about anywhere! This next desk is the perfect thing for anyone tight on space and in cash. 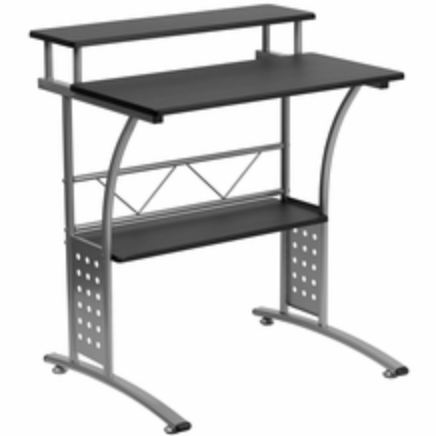 The NAN-CLIFTON-BK-GG Modern Office Desk by Flash Furniture is an extremely affordable desk that's sure to leave plenty of room in any space it inhabits. Also available in a white laminate, the Clifton is designed for computer users and features two shelves for accessories such as CPUs and printers. However, it also makes an amazing addition to bedrooms for middle and high school students that just need a bit of extra workspace to do homework. Use the shelves to hold computer monitors, textbooks, magazines, small flatscreen televisions, or other accessories, and it will be the hit of the room! Although this next entry is a trifle larger than our last two recommendations, it doesn't change the fact that the 905 Eastwinds Home Computer Desk by Mayline is still one of the most popular small computer desks for sale on the market today. 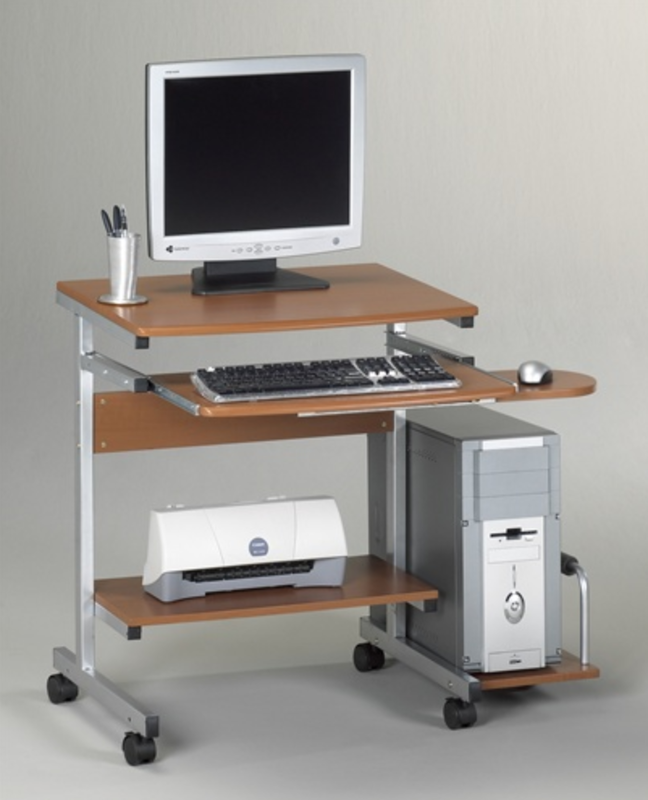 This desk features tremendous storage for such a compact desking solution. It offers plenty of space for work, for technology, for the user, and for the rest of the room. A built in drawer pedestal provides a convenient spot for pens, papers, and other materials that none of few other desks of this size can seem to incorporate. And of course the best part is the affordable price! Another great choice is without a doubt the 55148 Modular Privacy Station by OFM for dorms and bedrooms. This desk makes a super addition to either of these spaces because it provides a compact, semi-enclosed workplace that promotes concentration. The Modular Privacy Station features multiple shelves for computers, books, CPU holders, printers, phones, or anything else that may be needed. 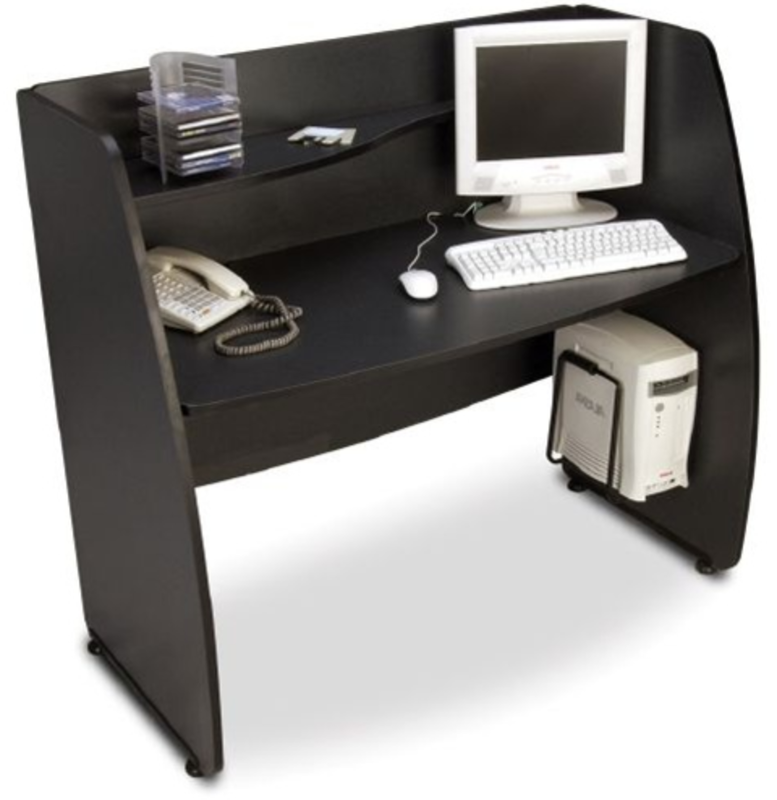 It also boasts wings for privacy and focus, so it's an ideal desk for receptionists and telemarketers too. 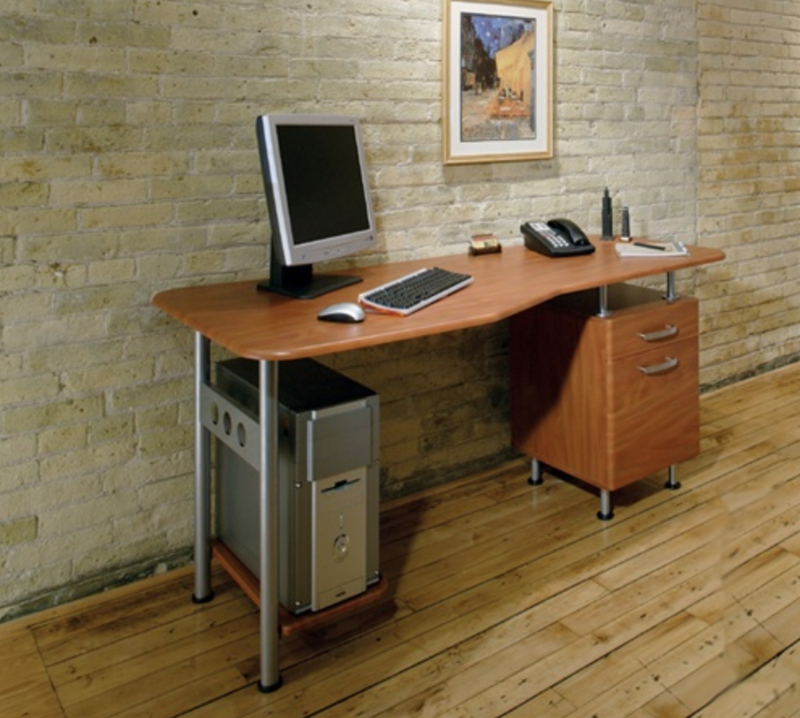 And finally, we give you the Flash Furniture NAN-JN-2118-GG Glass Home Computer Desk for small spaces. This desk provides plenty of wow-factor that's sure to impress. Unlike the other desks, the glass surface of this one ensures that rooms look bigger than they actually do, contributing to an overall sense of spaciousness even in tiny dorms. It also features a built in drawer set for convenient storage. 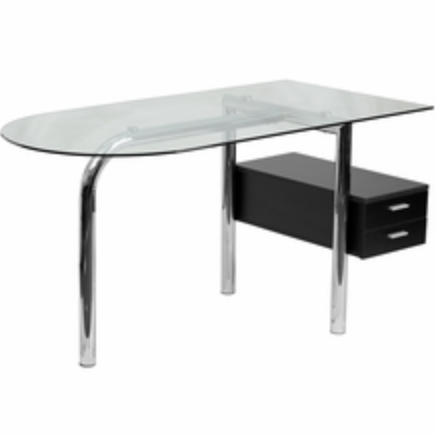 The chrome legs accent the glass for a modern look that will leave a great first impression on anyone lucky enough to encounter this stylish glass computer desk!